The 74-year-old businessman Recep Erdem, under arrest as part of an investigation into the Gulen movement, passed away after a heart attack while his two children, also in prison over similar charges, were allowed to attend funeral ceremony only in handcuffs. According to local media outlets, Erdem suffered a heart attack in prison early April and was taken to Erzurum regional hospital for treatment. 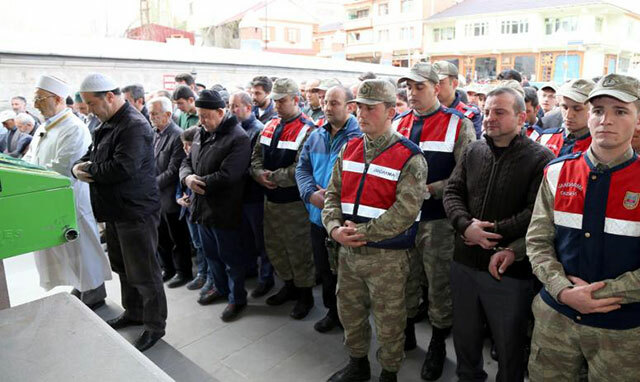 While the elderly failed to make it through the treatment on Apr 6, his children İsmail and İbrahim were given only limited access to funeral with gendarmerie always in company. Both three were earlier jailed as part of a government crackdown against the Gulen movement, accused of being behind the July 15 coup attempt. Ismail was one of the partners of the Erzurum’s prominent grocery store chain, TEMA until the government seized it. He was put under pre-trial arrest in August, last year. Recep Erdem was also among leading old-school business owners, according to media.